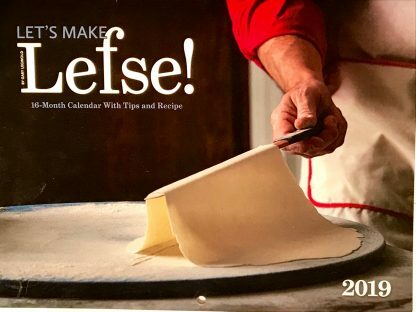 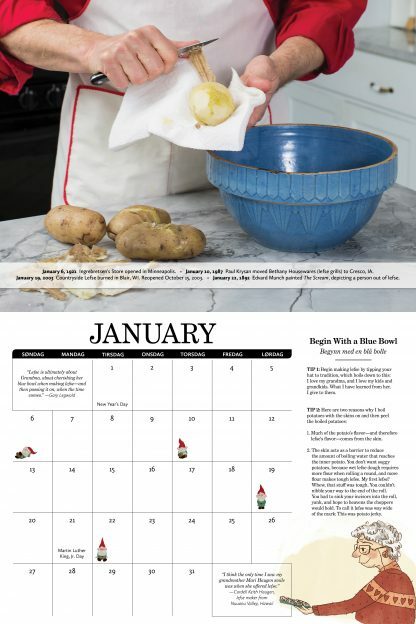 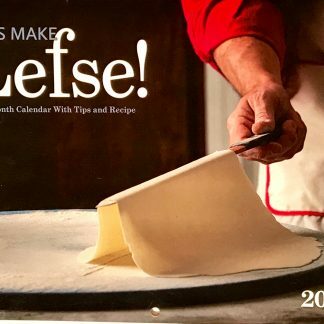 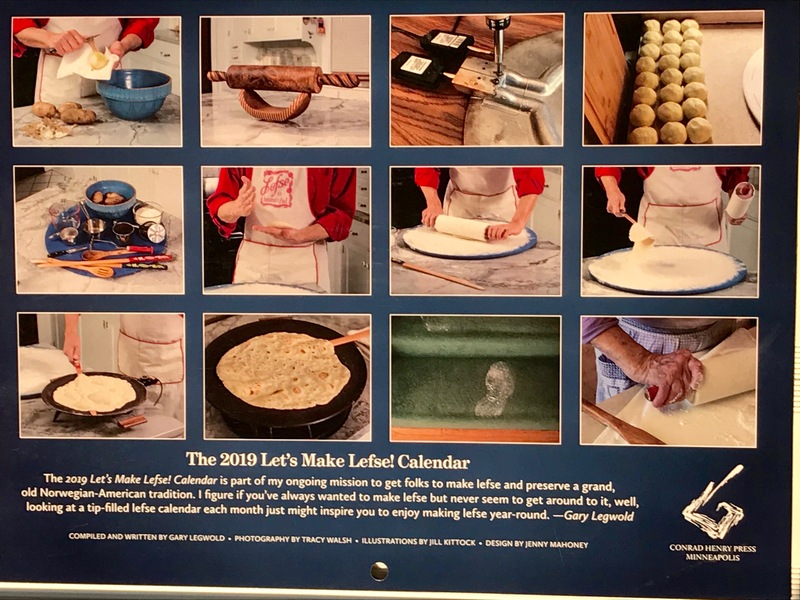 The one and only lefse calendar is part of my ongoing mission to get folks to make lefse. I figure if you’ve always wanted to make lefse but never seem to get around to it, well, looking each month at a calendar filled with lefse-making tips, photos, quotes, poetry, my recipe, humor, illustrations, and historic lefse dates you won’t find anywhere else, you just might be inspired to enjoy making lefse year-round. 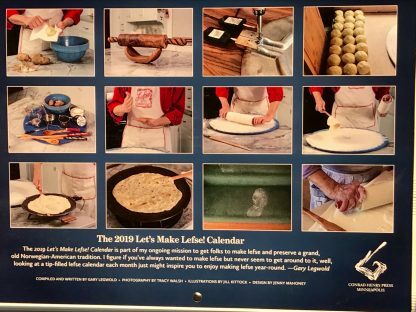 Calendar also includes the last four months of 2018.